The Tank Game Update 0.9.7.8 Released! This patch makes some big changes to the game's visuals as shown in the comparison below. The new visual were intended to make the game far less muddy looking by going for something cleaner and more cartoony. The grey / brown concrete slabs and rocks have been replaced by rusty red pipes / stacked boxes and in general the terrain elements have all been changed to more contrast more strongly one another. The result of this is hopefully something that is more visually appealing and also easier to read at a glance. The majority of effects in the game have also been changed with the intention of making them more snappy and satisfying than before. Lava has been added as a new terrain element to the game. Players may attempt to take a risky shortcut through it taking damage at a constant rate in the process. The appearance of map items has also been revamped. Gone are the permanent metal pads with item symbols, each item now has(will have*) its own appearance and vanishes once picked up. This makes maps less cluttered when few items are available and easier to spot those items that are. The game's demo over at http://www.desura.com/games/the-tank-game has also been finally updated to this latest patch if you wish to try it. The full list of changes including gameplay tweaks are given below. The Tank Game update 0.9.7.7 released! 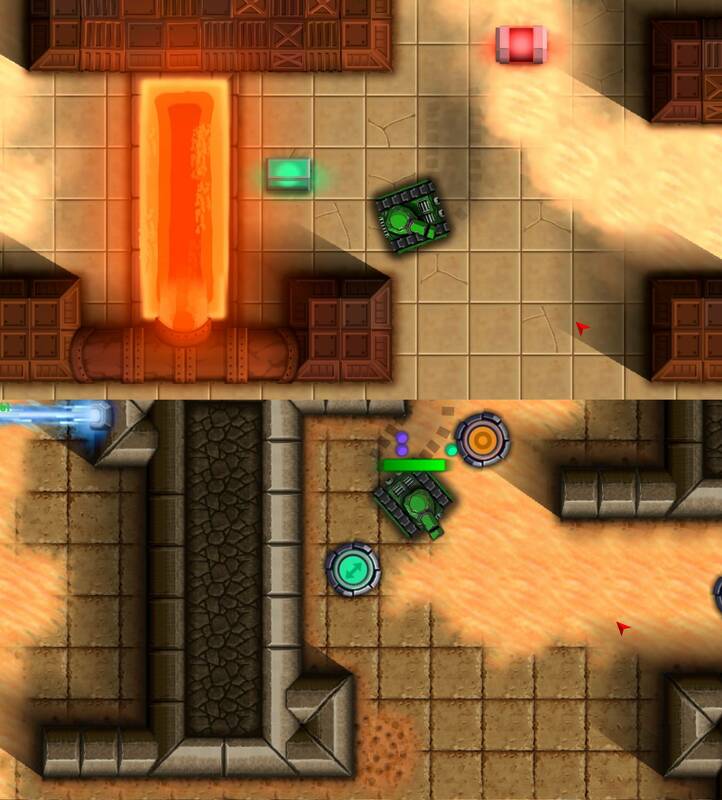 The Tank Game is an arena shooter featuring a diverse set of abilities and weapons. Figuring out how to use the items you are currently holding in order to turn a situation in your favour will be far more important than just having a steady aim. Much like the quake and unreal games of old items re-spawn periodically on the map rather than being given to you upon spawning. You must control these resources while also attempting to deny them to your opponents in order to prevail. The game has a strong emphasis on multiplayer and you can play with up to 5 friends on one PC in head to head multiplayer or CO-OP modes. Online and LAN play for more players is also supported. 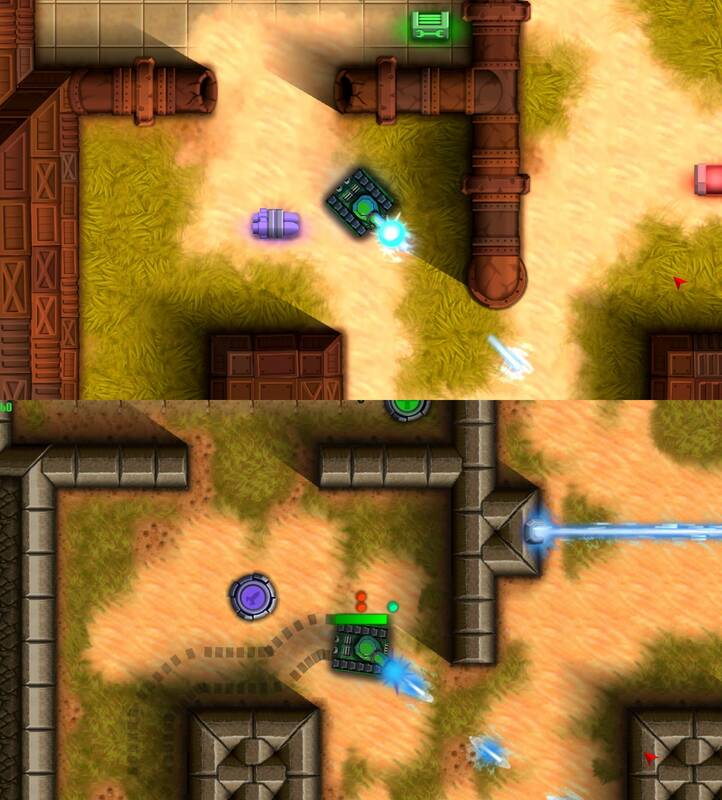 -Make use of Teleporters, Shields, Homing rockets,Rail guns, Emps and Drop pods. -Local multiplayer up to 5 players (1X mouse and keyboard 4X game pads). -Level editor + Game replays built in. -CO-OP and single player levels. -LAN and online multiplayer support. -Fully customizable controls for keyboard, mouse and game pad. -AI bots who make use of all weapons/abilities. I hope the developter didn't give up on finishing the game... it's been so long since he last shown up. Needs a weapon that can explode and take out the tank that shot it, too make it fun. i think they should call it "Pew Pew Tank Party" OOOH or "Pew Pew Panzer Party"
Looks good, nice graphics. Voted yes, I want this! Will be nice with a multiplayer on same screen, a lot of fun with friends. Larger maps for 8 players!